Since these webpages were created the variety Tardive de la Sarthe has also been confirmed true-to-type. 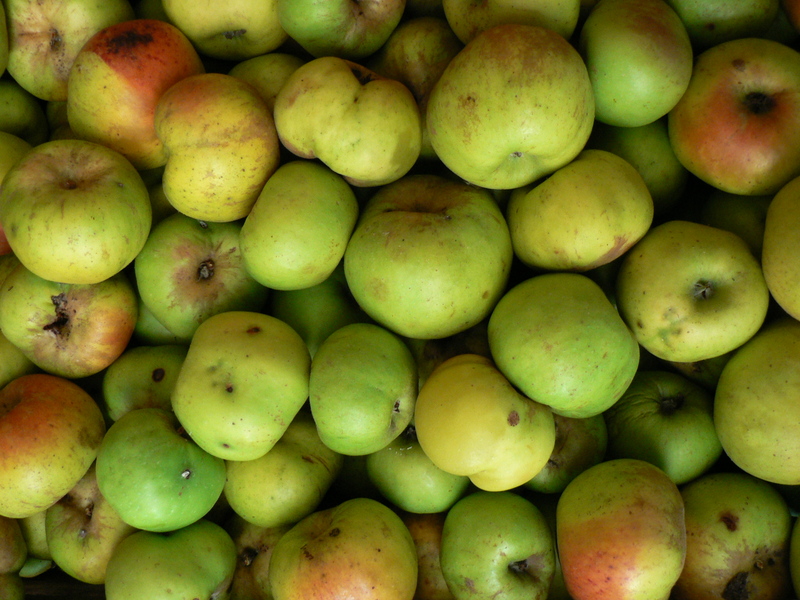 The 31 varieties originated either in England (”cider”) or France (”cidre”). 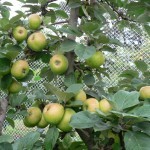 It is not essential that cider be produced from cider apples. 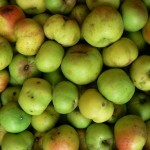 However traditionally cider was made from special apple varieties with levels of tannins and acid that make the fruit less appealing as conventional dessert fruit. 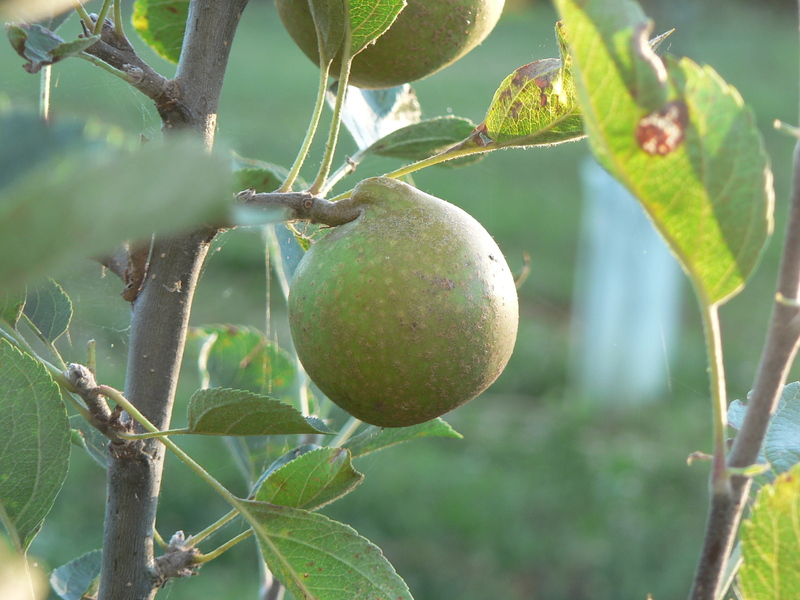 As the raw ingredient for cider production these specialised apples come into their own enabling the production of the Hereford and Somerset cider styles as well as the Normandy and Brittany cidre styles. 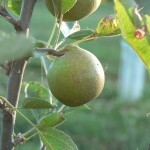 Cimetiere de Blangy is a French cider apple in the “douce amère” (the English bittersweet) class. In France it is also known as Blangy and Blagny. In Australia it was until recently listed in collections as Cimitiere du Pays. The name Cimetiere de Blangy indicates the derivation of the variety. 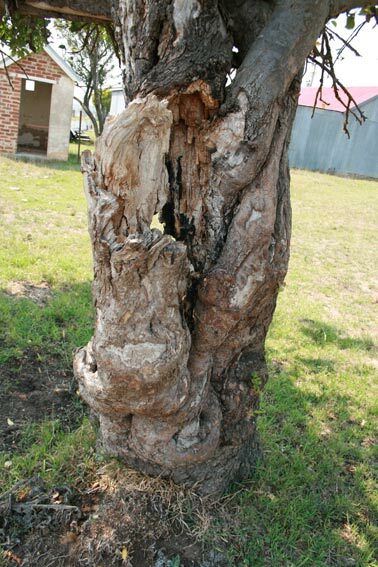 It was a tree located in a cemetery in the town of Blangy-le-Chateau which is about 15km north of Lisieux in Basse Normandie. The town of Blangy-le-Chateau comes within both the Calvados and Pays d’Auge regions giving a good indication of lineage and quality. 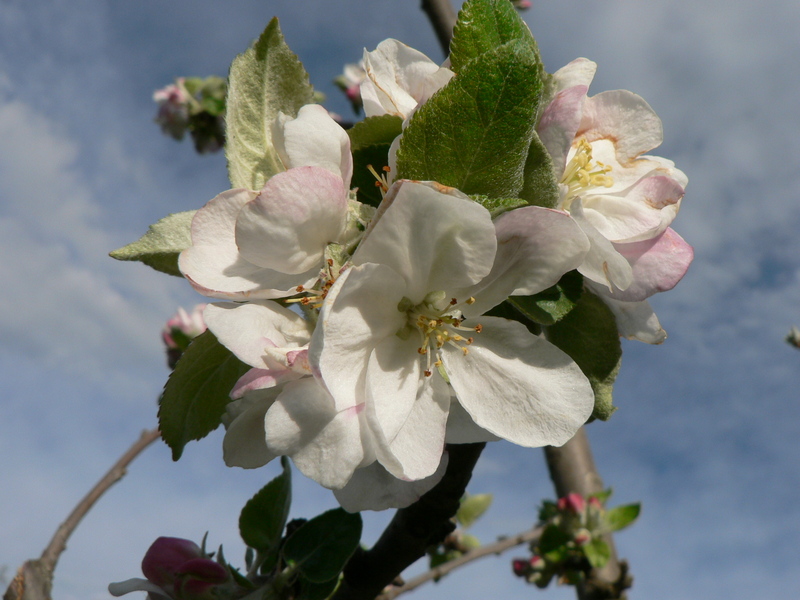 Under the control system prevailing in France it was included in the 1949 and 1958 listings for planting in the Calvados region. 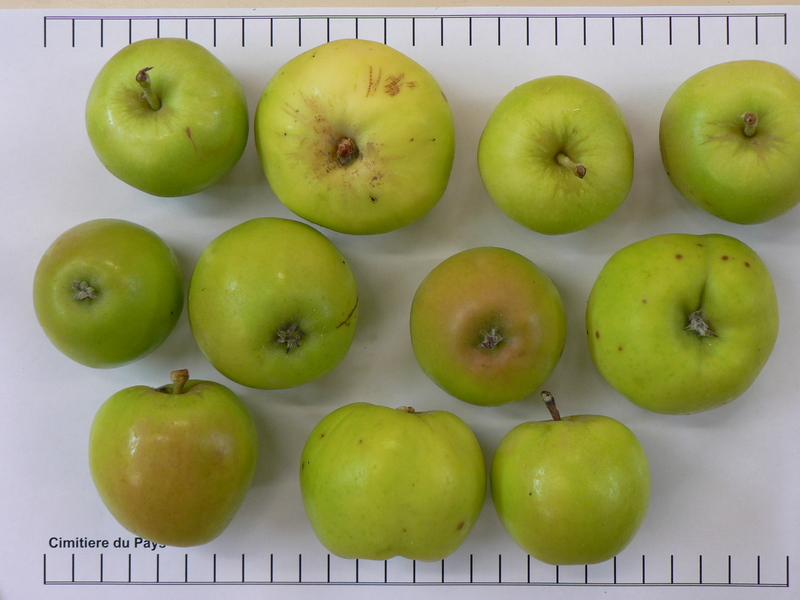 It appears to have been “retired” from the listing in 1966 (Pommiers à Cidre, INRA, 1997). Despite this, it still appears on various French websites including www.normannia.info with a date of August 2007. The most interesting web reference in relation to Cimetiere de Blangy is probably the newly available book by Henrik Mattsson, “Calvados”. This book is subtitled “The world’s premier apple brandy – tasting, facts and travel”. 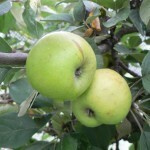 Mattsson lists approximately fifty cider apple varieties that are being used for the production of Calvados, and Cimetiere de Blangy is one of three that are in Australia. 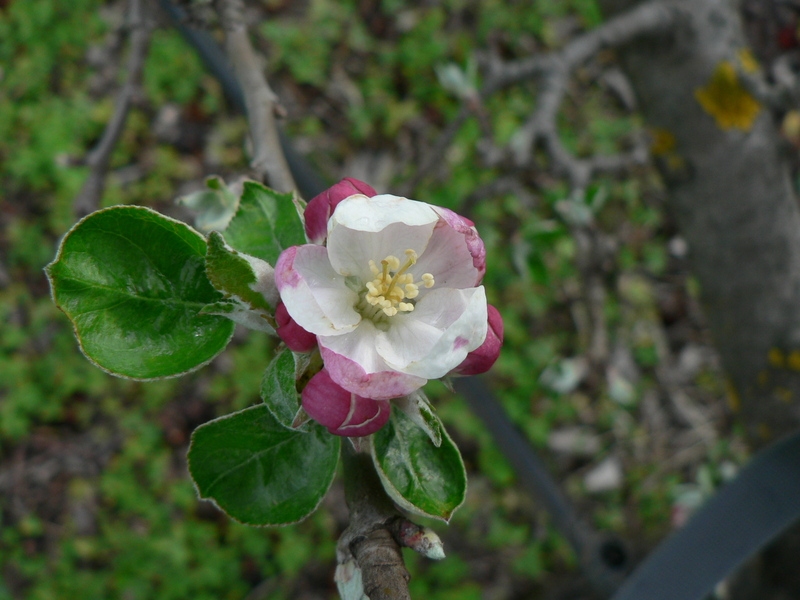 Current Australian information on Cimetiere de Blangy indicates that it flowers in mid (cider apple) season. As with all varieties there is variation year to year but this central positioning makes it a relatively easy variety to pollinate. Most years it has good overlap with Improved Foxwhelp. 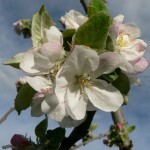 The blossom stages for Cimetiere de Blangy of king bloom (centre flower only open) and full bloom (all flowers in cluster open) are pictured. 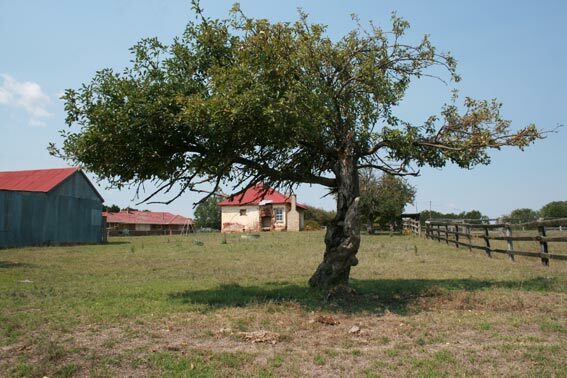 An old apple tree has been located in the Southern Highlands of NSW (Australia). 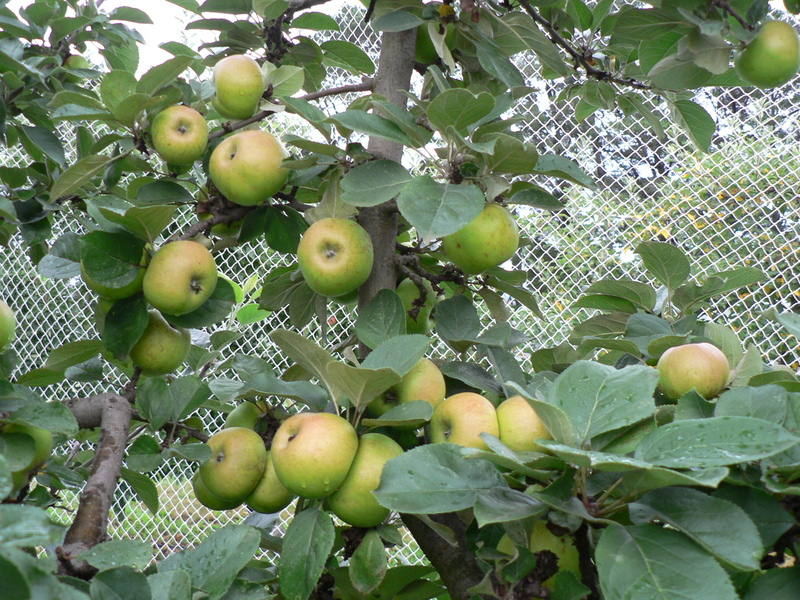 It is thought to have been planted between 1830 and 1840 and reports indicate that it was producing regular crops of apples of about the size shown around 1940-1950. From the size and russetting it seems unlikely to be an eating or cooking apple. 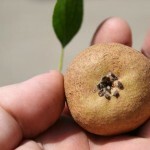 It’s shape is reminiscent of a pear but the man on the spot assures me it is an apple. 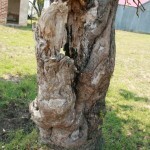 Considering it’s age, the probable neglect over the years, and the degrading of the trunk it has an amazing crown. This year it apparently only had two apples (an off year?) so we hope for better things next year! 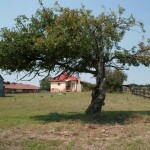 Does anyone recognise it as a cider apple? 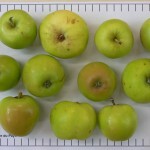 Tardive de la Sarthe is the latest (May 2009) cider variety to be confirmed as being true-to-type and takes the total of cider varieties in Australia to 31. In France it also has the synonym Frequin Tardif de la Sarthe but this name has not been used in Australia. 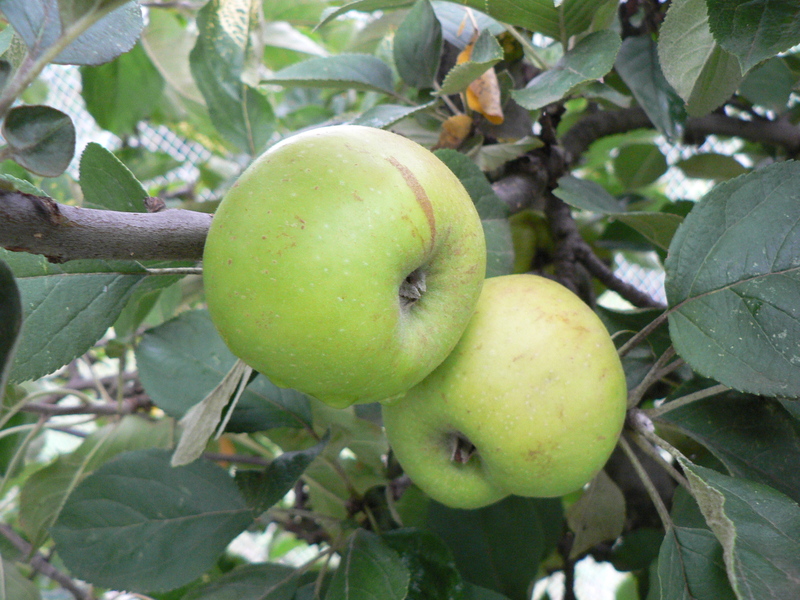 This variety was privately imported into Australia in 1985 at the same time as Tremletts Bitter. Despite Tardive de la Sarthe being French in origin it came to Australia via the famous Long Ashton Research Station at Bristol. Following importation it “sort-of” disappeared and it has only recently been tracked down. 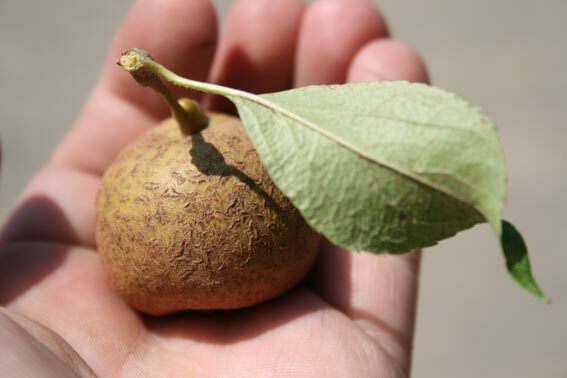 Fruit from the tree growing in Australia has been examined and found to conform to the description published in “Pommiers a Cidre”, Bore and Fleckinger, INRA 1997. 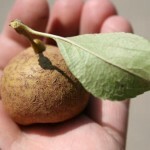 Images of fruit produced in Australia have been examined by staff of INRA and the variety identification confirmed. Tardive de la Sarthe was put onto some of the approved variety lists in France in 1949 but was removed in 1991 because of it’s sensitivity to fireblight. This is not a consideration in Australia since we don’t presently have this disease in the country. Published data from France places Tardive de la Sarthe in the “amere” class – relatively high tannin levels and relatively low acidity. See the NSW DPI website for a chart of other “amere” types. Under the English system of four classes, Tardive de la Sarthe would be classified as a bitter-sweet but it’s tannin level is on the high side for this class. There is virtually no Australian information about Tardive de la Sarthe – yet. 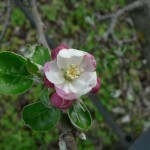 The likelihood is that the Australian climate will suit this French variety as most of Australia has more in common with French conditions than the conditions prevailing in the British cider growing areas. 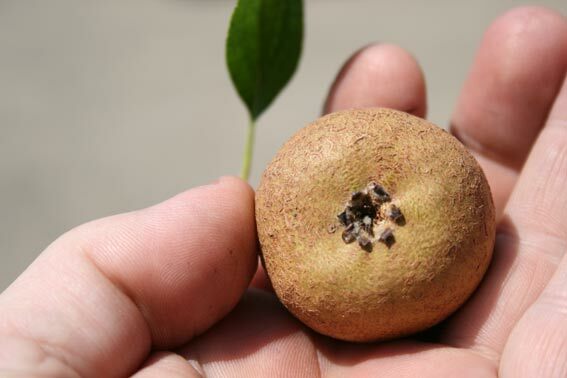 It remains however to gain experience about the performance of this variety in the orchard and it’s reactions to the diseases that we do have in Australia.